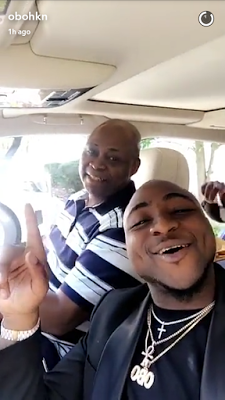 Chief Adeleke, the billionaire dad of Nigerian music star, Davido, turned a year older. 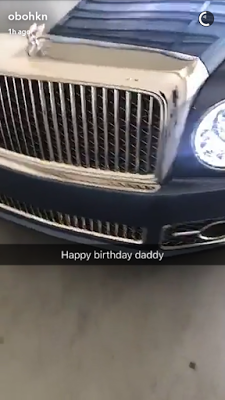 The singer got his dad who has always supported his music career, a new Bentley as a birthday gift. The duo were pictured singing to his hit song "IF" while they rode in the new car.